Happy families because these two wines come from vaguely the same soleras – I say vaguely because while the La Guita en rama was apparently bottled from botas selected from the solera used to produce La Guita and has an average age of four and a half years, the Manzanilla Pasada, while sourced from the same bodega, is a selection from two very special botas in a very special room. In any event, the family resemblance is very clear, and once again the comparison between the two is very revealing. 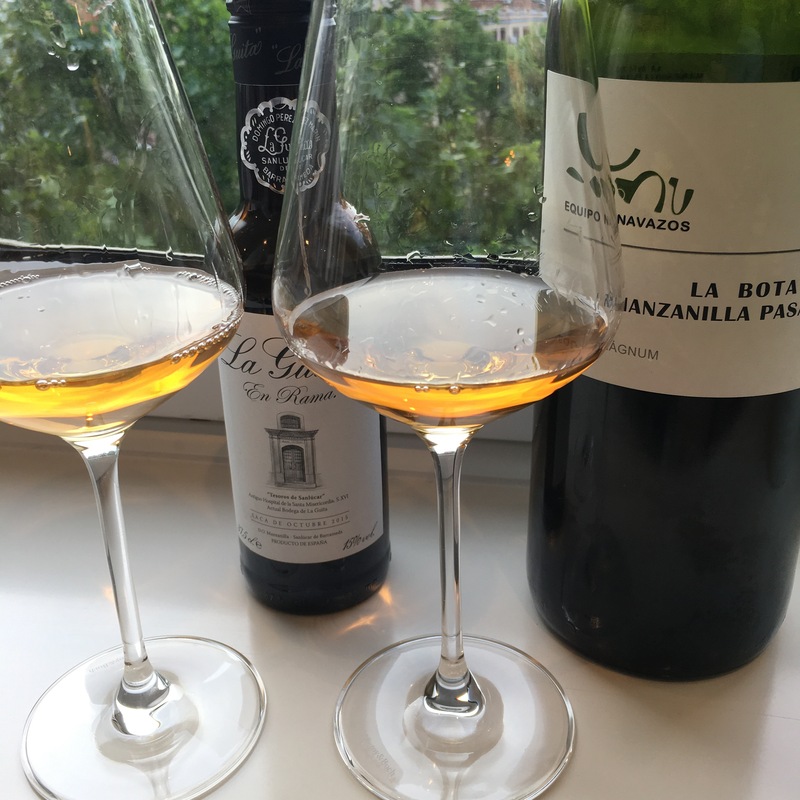 As you can see the manzanilla pasada is only slightly darker in colour than the manzanilla, and on the nose I would say it is a little more muted, with less haybales. But whereas the manzanilla en rama comes across as jauntily characterful – a combination of citrus, chalky mineral and herbs – the manzanilla pasada seems to have the same elements but in a profile that is both more compact and richer, more harmonious, and with an added savoury, toasted flavour. Perhaps doesn’t have the sharp saline opening and finish of its younger sibling but it is beautifully elegant nonetheless. Really top class wines the pair of them.